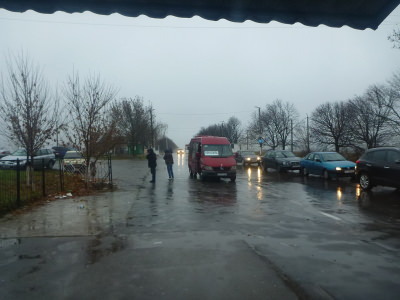 World Borders: Crossing from Moldova into Transnistria. Well it’s been yet another crazy bit of off the wall backpacking as you do. While last year I visited a few countries which may not be “recognised by everyone”, I’m thinking of the trip to Nagorno Karabakh and my endless backpacking through Iraqi Kurdistan and Palestine. This time I was doing a Beatles. Back in the USSR. Union of Soviet Socialist Republics. Yes, really. Well at least as close as I’ll come in my lifetime to seeing what the Soviet Union was all about. As a country the USSR ceased to exist after 1991, but I really enjoy the complete diversity of the current countries once housed within the Soviet Union. They are so vastly different, it baffles me how the likes of Lenin and Stalin once tried to control the lot of them as one country.From Azerbaijan to Belarus to Latvia to Kazakstan – bizarre that these were all once just one big country. 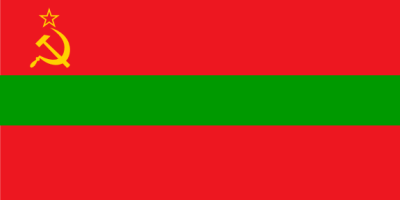 The latest in my line of former USSR countries to be visited was Transnistria, also known as Transdniestr and Pridnestrovskaya Moldavskaya Republika. It’s a country recognised only by itself and yet they have their own visas, banknotes, stamps, police force, beer and borders. It’s a really fascinating trip. 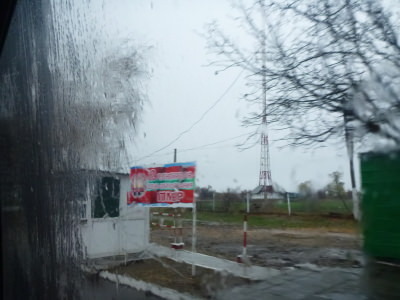 The bus to Tiraspol, Transnistria. 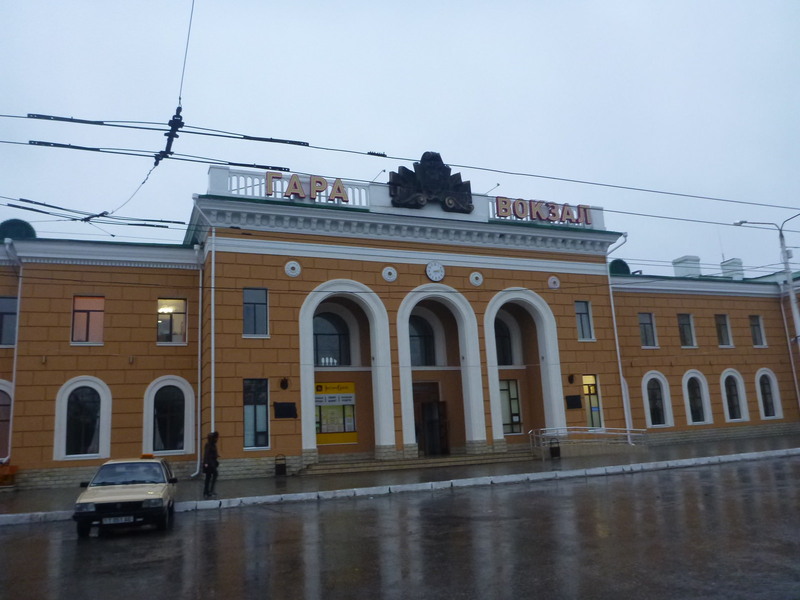 You have two main options public transport wise to get from Chisinau to Tiraspol – train and bus. 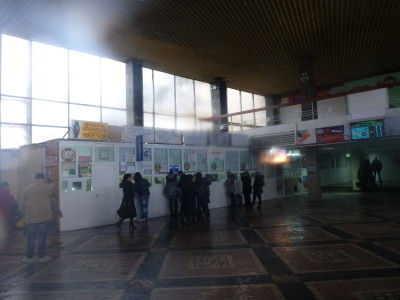 At the time I went there was only one train a day apparently, which leaves around 7am, so I knocked that idea on the head and went to the Central Bus Station in Chisinau instead. 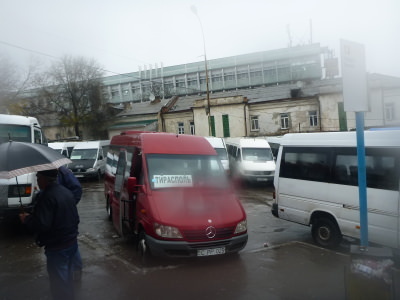 It’s the main bus station behind the market, just off Boulevard Stefan cel Mare. It was a really wet drizzly day when I went and I took some photos but they are a bit blurred to be honest. 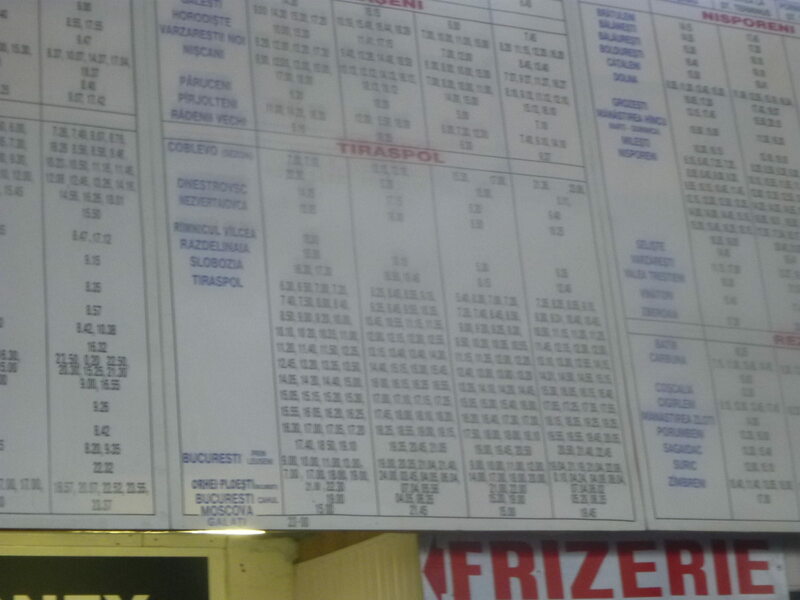 The bus timetable – sorry it’s blurred – was a horrendous day of torrential rain and I left in a hurry from Chisinau. At the main bus station, head through the doors and back into the bus park out the back. When I went in November 2014, the bus to Tiraspol is clearly marked as Stand 13. 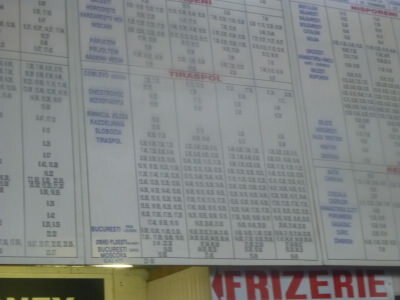 There are buses frequently running all day, the timetable as you can see I put above. Here are some photos of the bus station in Chisinau. The red bus to Tiraspol at stand 13 out the back of the station. The bus fills up and it leaves. 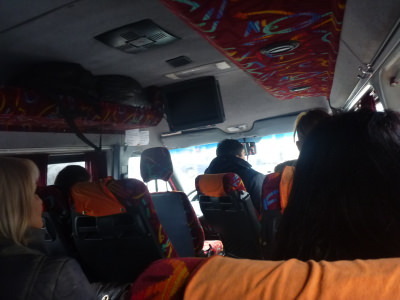 Bus leaving Chisinau for Tiraspol. 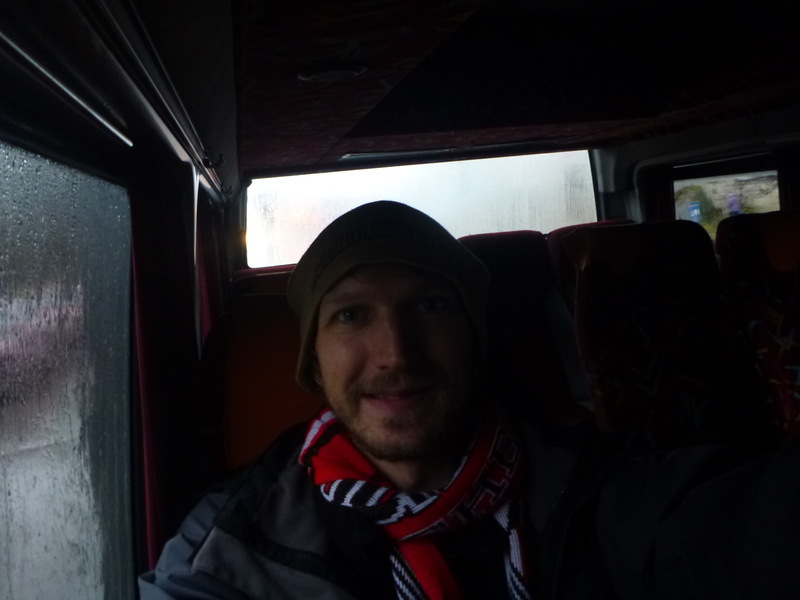 On the bus from Moldova to Transnistria. Arrival at the border and entry point into Transnistria. 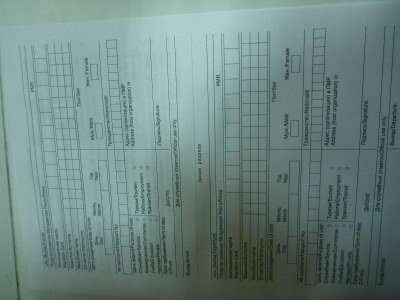 It takes just a couple of minutes to fill in the form. The good news is it’s in English as well as Russian – so they are actually aware that quite a few foreigners venture to check out their country. It’s a safe bet to put Hostel Tiraspol down even if you don’t stay there (I didn’t stay there as I had a Tiraspol homestay sorted but I wrote tht Tiraspol Hostel address on my immigration form). Also they’ll ask you how long you want to stay in the country. I actually said two days, just in case I needed the extra time and wanted to get the 30 day visa approved the next day and stay longer. But basically if you are only going for one day, it’s fine just to tell them that. 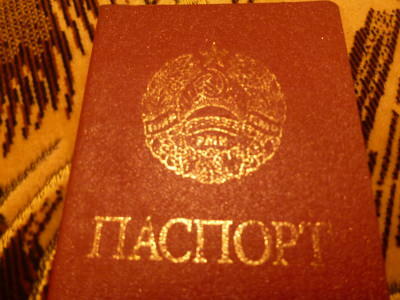 You are permitted to stay for 24 hours (to the exact time) when you enter the country. 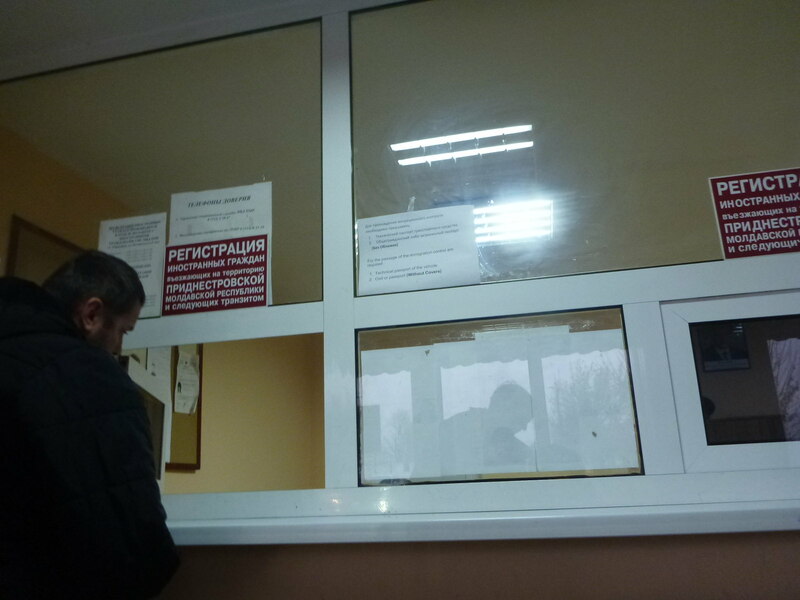 I arrived in Transnistria at 14.15 pm and so they wrote on my immigration form the time I arrived and the fact that the next day I would be allowed to stay until the same exact time. 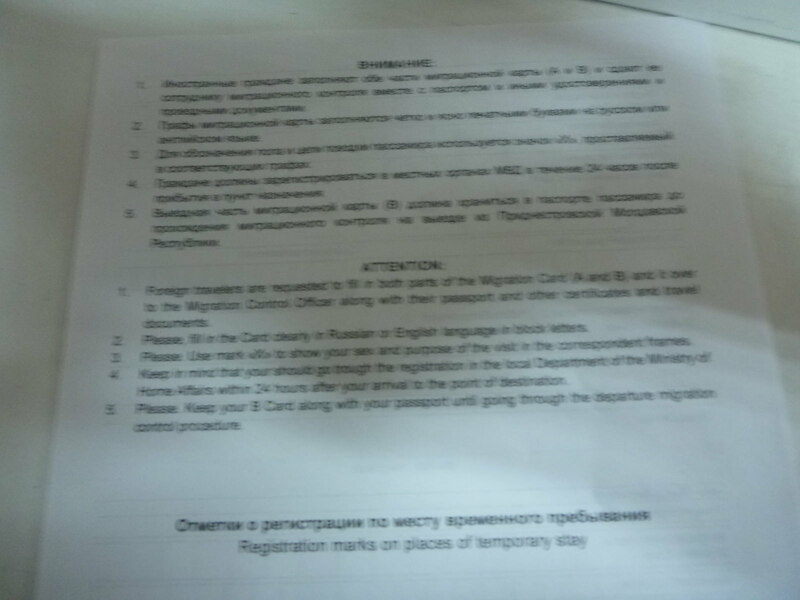 If you want to stay longer than the 24 hours, you will need to get a receipt from your hotel/hostel/homestay and head to the OVIR office or the Tiraspol Militia Office to get your 30 day visa extension. Also to note – Transnistria is a country without an airport – you can therefore only go in and out by land, and it borders Ukraine and Moldova only. Immigration office near Bendery, Transnistria. 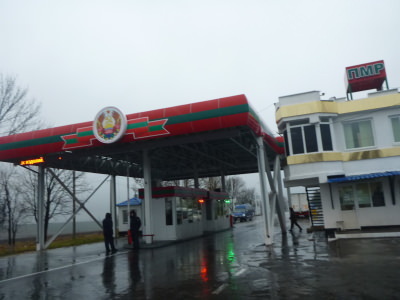 The border between Moldova and Transnistria. Back (packing) in the USSR!! Exploring Victory Park in Tiraspol, Transnistria. This entry was posted in Central Asia/Middle East, Chisinau, Moldova, Tiraspol, Transnistria, World Borders. Bookmark the permalink. I’ve heard that visitors can get hassled sometimes at the border crossing (aka asked for bribes). Did you come across that at all? Or maybe it only happens if you rent your own car and drive in? Hi Ray – thanks for the comment. Wow – I never heard of that. Where did you hear that? Maybe it was Canadians/Americans? I travel on an EU passport and these borders were no hassle – Romania to Moldova was a great train ride, lovely cabin and no other travellers about so it’s pure bliss. If you do head to this region I wouldn’t recommend hiring a car due to the road confusion, and with the trains and buses so cheap anyway, it’s worth it. 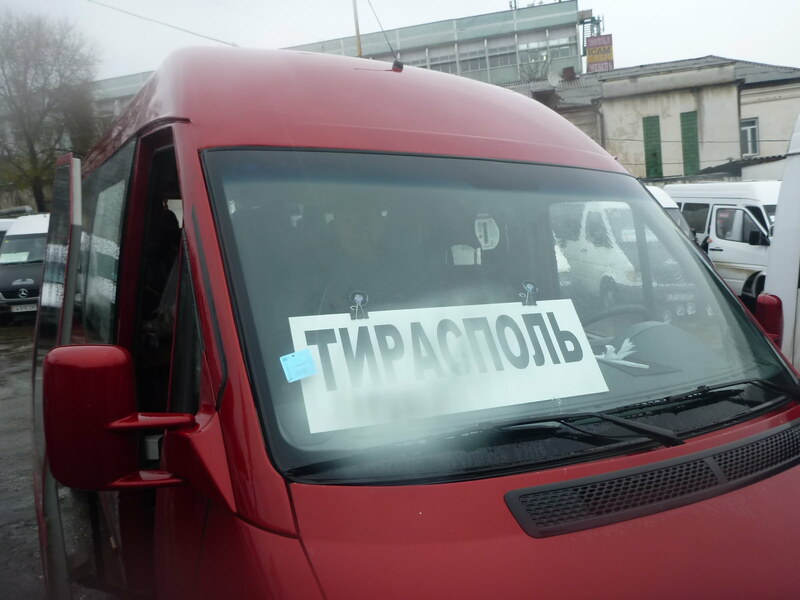 The bus from Moldova to Transnistria was a simple 2 hour journey with an easy immigration process. Perhaps if you don’t “look European” they might rip you off, but can’t imagine in – friendly guards on the border even saw me taking a photo and didn’t say anything. 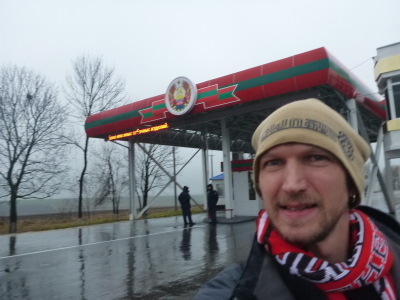 I visited Tiraspol today on a day trip from Kishinev and it’s now really easy. When you reach the border you don’t need to fill any forms, just give your passport, tell where you go and how long are you staying and that’s it. It’s a breeze and no harassment or bribes. 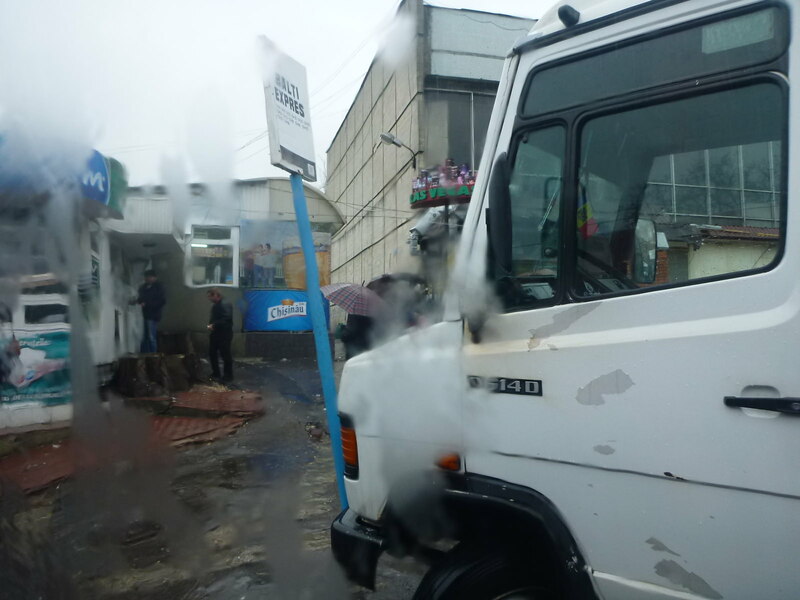 Both at Kishinev and Tiraspol you need to buy the bus ticket from the ticket window in the station. This is a great blog, very detailed. Would you recommend spending a night in Tiraspol, or is a day-trip enough if one can leave early in the morning from Chisinau? Off to Chrisinau on Wednesday. I will be visiting Tiraspol. Thanks for all the info. 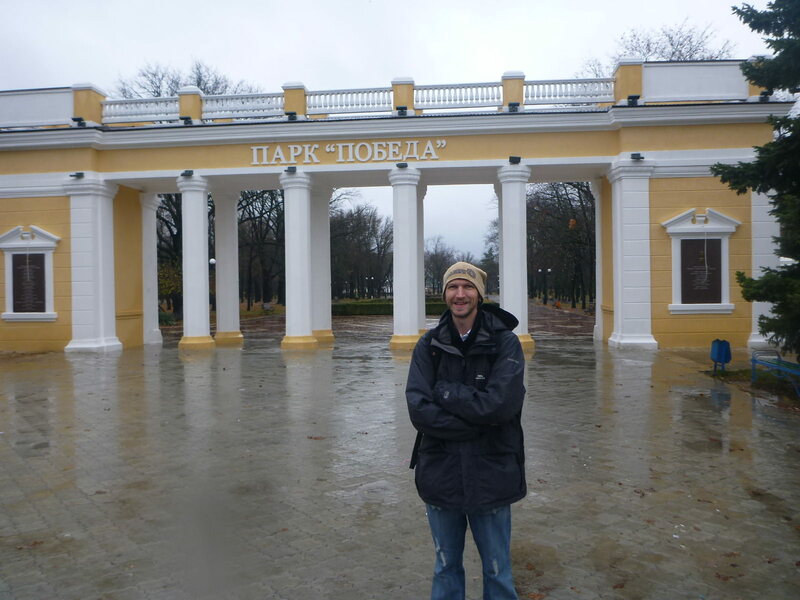 Hey Jonny – I’m in Tiraspol right now. Border crossing was simple – handed over my passport and the name & address the hostel provided me when I booked. 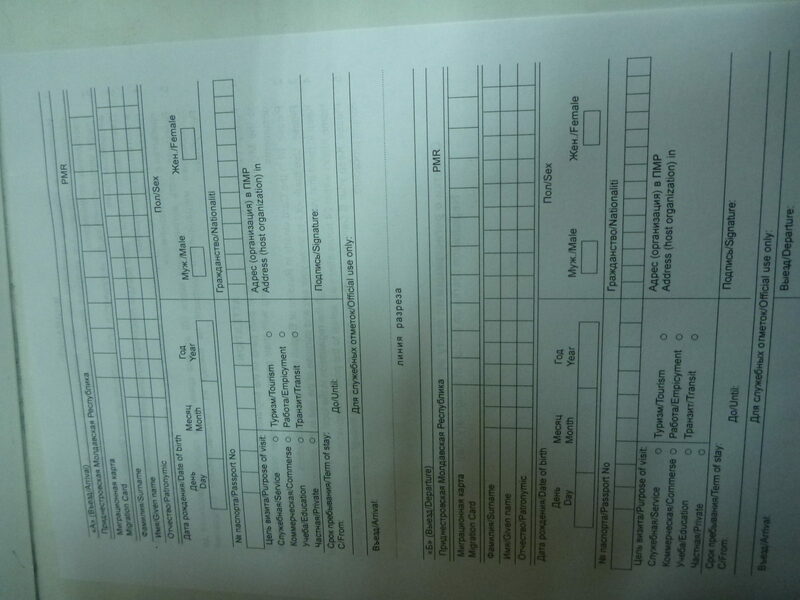 The guard did everything else – typed it all into the computer, printed my piece of paper with the details on it and confirmation of 24 hours approved. No paperwork for me, no bribes – in fact it was one of the more simple border crossings I’ve done! It did take a few minutes to process, and the bus driver even came in after a while to check everything was ok.
Adam recently posted…New Website Design! Who knows what can see in Gagauzia, I find some information http://myplanettour.com/en/moldova-excursions/221-cultural-tours-in-moldova/1360-trip-to-gagauzia , but maybe is something else? I am doing the same trip in 4 weeks time. I was thinking that I am pretty likely to be the only foreigner on the bus. When I get out to do immigration at the border do I need to take my luggage? I am a bit concerned that if it takes a while the driver might go on without me and I might lose my luggage. Thank you, I am sure it will all be fine. I assume that the driver will just wait while I am processed. Jonny I loved your post. We met Timo, he’s awesome!! Serving lots of beer with a group of tourists near Bendery, he offered us some – what a guy. We thrashed Tiraspol in 5 days, following http://www.transnistriatours.com/things-to-do-in-tiraspol-transnistria.html and going big on Vodka.